From tiny acorn to bountiful tree, perhaps no other woody plant has inspired humanity like the oak. Join the Maryland Native Plant Society this year as we explore the diversity and wonder of oaks. Throughout 2012, MNPS field trips, workshops, and lectures will focus on oak identification, the importance of oaks in the Mid-Atlantic ecosystem, and their value for humans and wildlife. The native white oak (Quercus alba), Maryland’s official tree, is just one of 21 species of oaks native to Maryland. 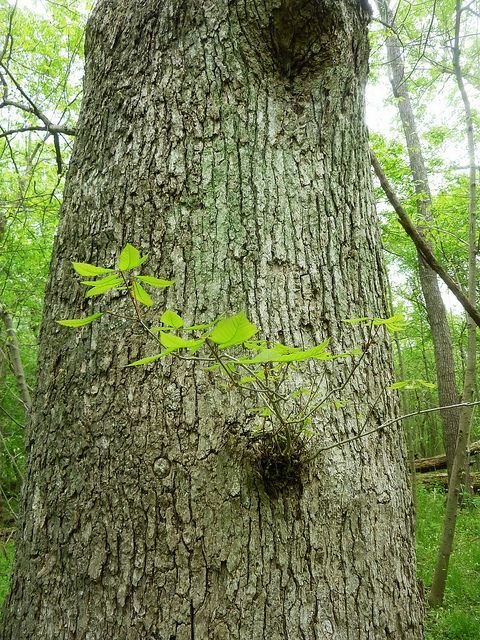 These 21 oaks are essential components of Maryland’s forests, rural open spaces, cities and towns, from the sandy Coastal Plain in the east, through the hilly Piedmont provinces to the summits of the western mountains. Please join us as we focus on learning all we can about the remarkable oaks of Maryland! Swamp Chestnut Oak (Quercus michauxii), River Trail, Great Falls Park, Montgomery County, MD, April 21, 2017.